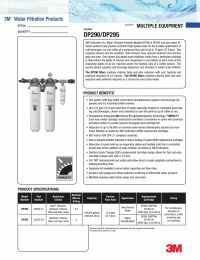 The 3M DP290 Filter Pack, which was formerly labeled as Aqua-Pure DP290-Cartpak, works to reduce cysts, sediment, and abrasive particles in order to extend the life of pumps, valves, O-rings, and seals. With a built-in bacteria inhibitor, there is a reduction of fouling of media. 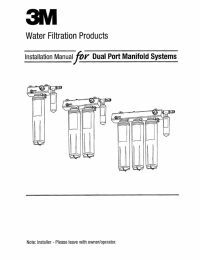 Cartridge pack includes two HF90 and one HF8-S replacement cartridges.